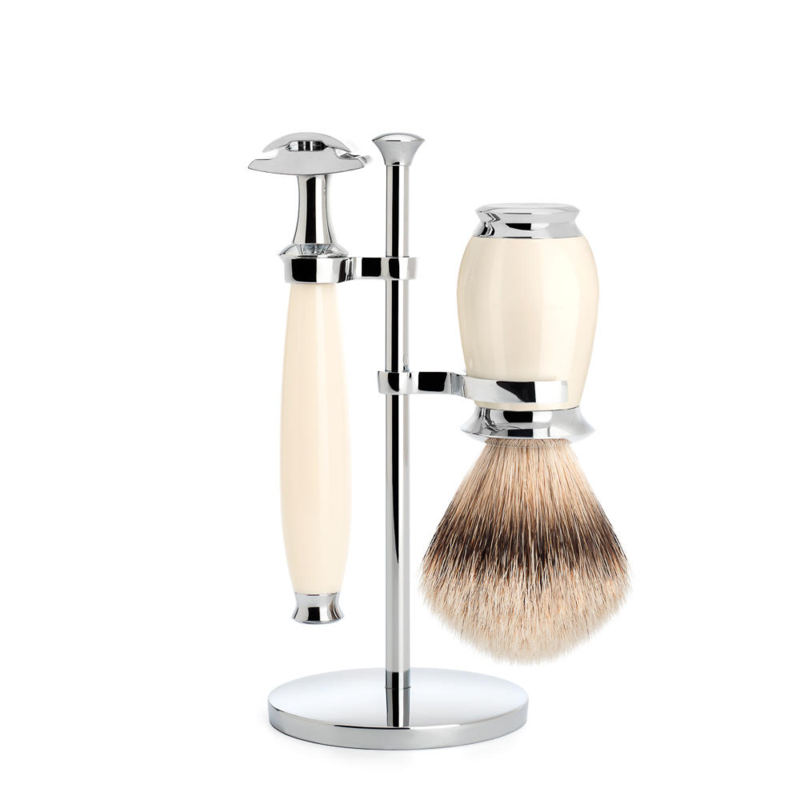 The Muhle Purist Ivory traditional shaving set by Edwardo. 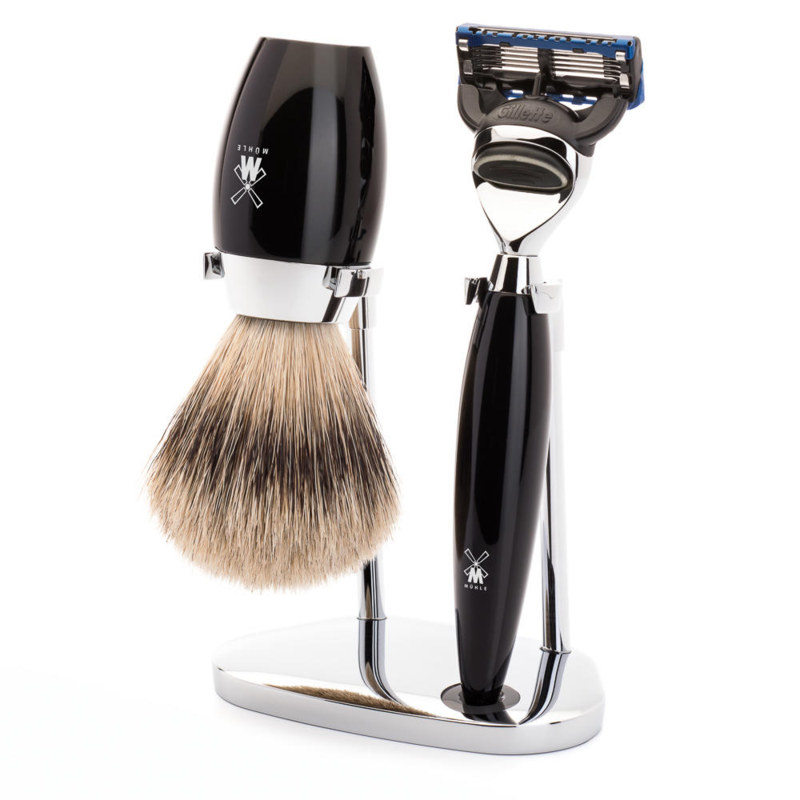 The Purist set Is classical In design, the almost Queen Anne style shaped razor Is so fine. Ivory Is no more thank goodness, but this cream acrylic has It’s looks and It excellently brings out the chrome. The brush Is of the highest grade of badger pelt, being silver tip. The knot Is robust at 50 mm and 40 mm wide and full of the finest of hair, standing at 110 mm and weighing 127 g this Is a sturdy piece of shaving equipment. The purist safety razor Is large at 120 mm and 72 g, but a piece of this quality should be. The head Is middle on the aggro scale, taking a double edged blade. Muhle traditional shaving razors are often middle aggressive as this will provide the customer with a close shave that has enough guard to be safer than other razors on the market. Muhle have they’re own double edged blades, which we sell on the site. 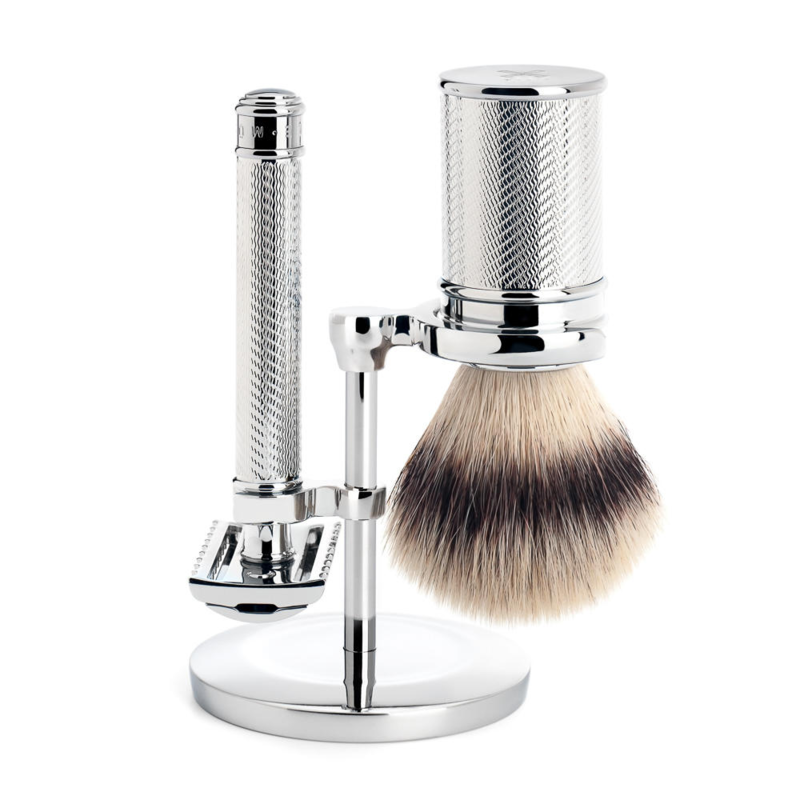 The Muhle Purist Ivory traditional shaving set, comes with a free blade that should last 8 or so shaves. The set comes In a wonderful presentation box which would make the purist set a wonderful gift. 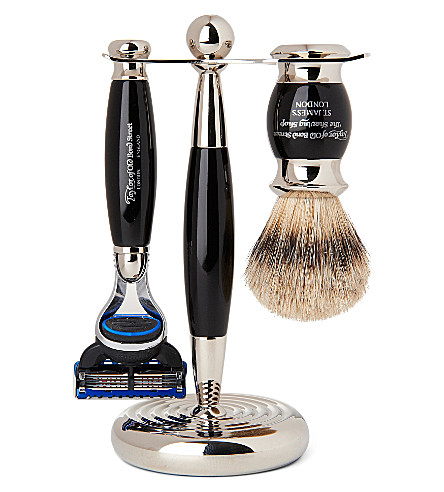 We at Edward’s want to provide you our customer with top end shaving equipment and In quick time. We are a reliable decent traditional shaving company that want to look after our customers. Which Is why we will answer any questions you may have In order to find the right shaving kit for you. We have an array of great shaving tips on the site blog for you to get clued up on also.